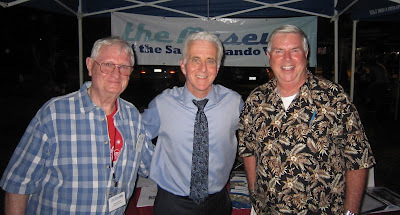 Richard Hilton, Gary Fredburg, Wendy Fredburg (Gary’s wife) and Jerry Fecht worked a booth for The Museum of the San Fernando Valley and Campos de Cahuenga at the North Hollywood Park for the 28th National Night Out. 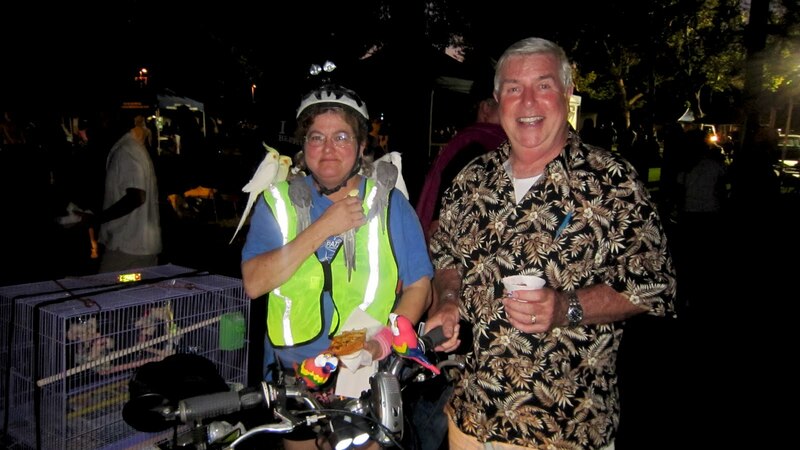 Citizens, law enforcement officers, area businesses, neighborhood associations, and political leaders participated in the event. Jerry Fecht - left (The Museum's president), Los Angeles City Councilman Paul Krekorian, and Richard Hilton (Director of The Museum's Tours and Adventures program) at National Night Out in North Hollywood Park. 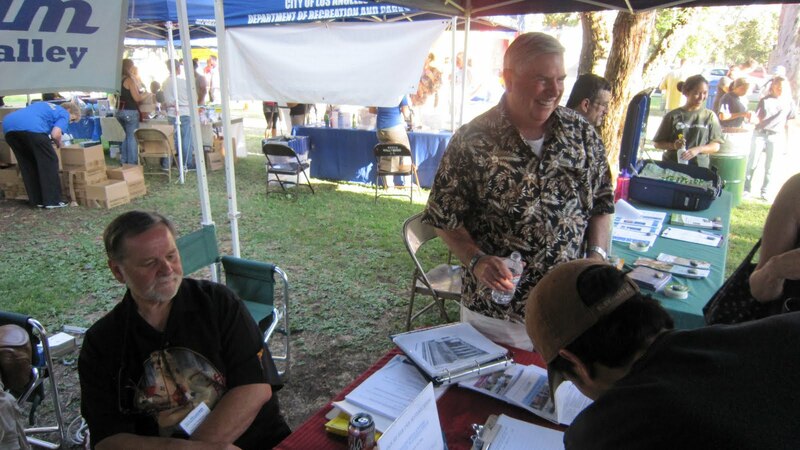 Museum Board leaders, Gary Fredburg (seated) and Richard Hilton sign up National Night Out visitors for The Museum's tours and special lectures program. They handed out Museum and Campo de Cahuenga brochures and children's coloring maps of the San Fernando Valley.